There isn’t anything quite as thrilling as watching an auto race. The sights, the sounds, and everything in between are just about as exhilarating as it gets. It’s a true treat to experience talented drivers showing off their skills, and in Wisconsin, we have plenty of opportunity for it. 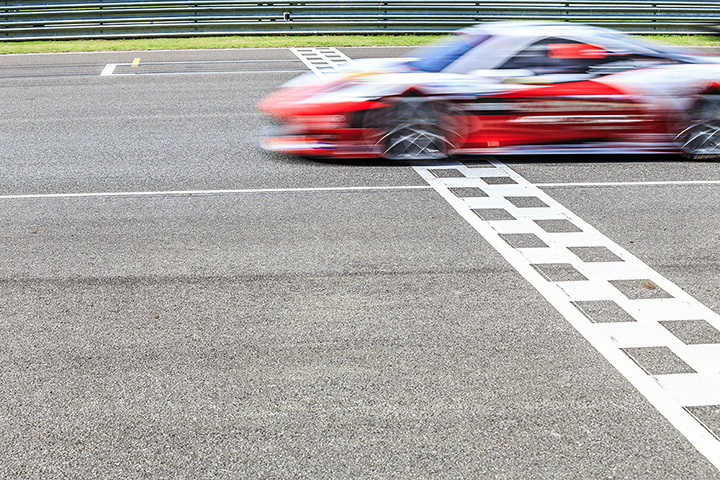 Find a race track closest to you, or arrange some travel plans to visit one of these eight great race tracks in the state! Jefferson Speedway is southern Wisconsin’s go-to race track. Races are every Saturday night running from April to September. They have different track divisions, an electronic scoreboard, a new pavilion. Jefferson Speedway has been growing rapidly in size and popularity since its start in 1952. Located between Milwaukee and Green Bay lies the Road America race track. This track is a four mile, 14-turn race track. Some of the best racers in the business have started their racing careers here. Races are open to the public as well as group event rentals and discounted rates. Enjoy a beautiful day/night on the edge of your seat at Road America. Angell Park Speedway offers a 1/3-mile clay track in Sun Prairie, Wisconsin. The land was donated to the city fire department in the early 1900s by Col. Wm. H. Angell. Engines rev up starting Memorial Day Weekend and turn off around Labor Day Weekend. La Crosse Speedway is located in West Salem, Wisconsin. It features a 5/8-mile outer oval track and a quarter-mile inner oval track size. The speedway hosts weekly NASCAR's Whelen All-American Series sanctions stock car races. La Crosse Speedway is a top Midwestern asphalt race track. Check out Plymouth dirt road racing for a change from your normal racing experience. They have a quarter-mile clay track. They hold special events like the Tournament of Destruction, the occasional IRA Sprints, and the AMA Flat Track Motor Cycle races. This oval stock car racing speedway is located in Oregon, Wisconsin. This paved speedway runs every Friday night from May to September. Madison International Speedway is sanctioned by NASCAR's Whelen All-American Series. Through its many loving owners, the track has evolved to what spectators love today. The Wisconsin International Raceway is an oval stock car and drag racing track located in Outagamie County. They offer a VIP suite for climate controlled race track viewing along with general admission seats. Races run from April to September and hosts events like the Eve of Destruction, fans from all over travel to Kaukauna for these cool races. The Dells Raceway Park is located in the Wisconsin Dells. The speedway is 1/3-mile in length and has been in operation since 1958. Check out their seasonal events as well as their classic races that are held every Saturday night from April until late October.